Learn more about the characteristics of gold metal. Our silver jewelry collection is made from sterling silver, we have chosen classic designs created by some of the finest silver craftsmen. Queen of all metals, silver is gleaming and exquisite, cool to the eye and sensuous to the touch. Silver jewelry is a classic gift that remains close to any woman's heart. Men also hold this metal in high regard and see it as a gift of distinction. Silver is the brightest reflector of any of the precious metals and when polished can achieve a higher sheen than even platinum. 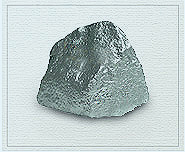 Silver is a very soft metal, almost as soft as gold and therefore is usually mixed with copper for strength. Pure silver is relatively soft, very malleable, and easily damaged so it is commonly combined with other metals to produce a more durable product. Sterling Silver is a mixture of 92.5 % pure silver (925/1000 parts) and 7.5 % metal alloy or copper. The small amount of metal to sterling has very little effect on the metal's value. Instead, the price of the silver item is affected by the labor involved in making the item, the skill of the craftsperson, and the intricacy of the design. Since silver jewelries happened to lose their shine and brilliance after time a special coating is been applied on some silver jewelry. Silver plated, also called silver coated, is a base metal such as nickel silver, brass or palladium that been coated with a layer of pure silver by a process called electroplating. The most expensive and durable coating is the palladium plated that consider to be a luxury. Tiffany Jones Designs is proud to offer jewelry in 14k and 18k white and yellow gold. Platinum, silver and other metals are also available by special order. We can customize any jewelry in silver metal by special order, please speak with our jewelry expert at 1-800-988-5145.